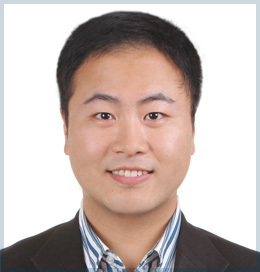 Dr. Mingzi Zhang is a post-doctoral fellow at the Department of Plastic Surgery, Peking Union Medical College Hospital. During his post-graduate training, he focused on keloid research and was the author or co-author of several scientific publications. He has also participated in several scientific projects supported by central Chinese government grants as well as local government grants. Zhang M*, Liu S*, Guan E, et al. Hyperbaric oxygen therapy can ameliorate the EMT phenomenon in keloid tissue. Medicine. 2018,97(29):e11529-e11539. Zhang M*, Liu Y, Ding N, Zhao P, et al. 2-Methoxyestradiol improves the apoptosis level in keloid fibroblasts through caspase-dependent mechanisms in vitro. American Journal of Translational Research. 2018,10(12):4017-4029. Zhang M*, Dong XH*, Guan EL, et al. A comparison of apoptosis levels in keloid tissue, physiological scars and normal skin. Am J Transl Res. 2017,9(12):5548-5557. Zhang M*, Xu Y*, Liu Y, et al. Chemokine-like factor 1 (CKLF-1) is overexpressed in keloid patients: a potential indicating factor for keloid-predisposed individuals. Medicine, 2016,95(11):e3082-e3010. Si L*, Zhang M*, Qin H, Huang J, et al. Sensitization of keloid fibroblasts by quercetin through the PI3K/Akt pathway is dependent on regulation of HIF-1α. American Journal of Translational Research. 2018,10(12):4223-4234. Long X*, Zhang M*, Wang Y, et al. Algorithm of chest wall keloid treatment. Medicine, 2016,95(35):e4684-e4692. Song K, Liu S, Zhang M, et al. Hyperbaric oxygen therapy improves the effect of keloid surgery and radiotherapy by reducing the recurrence rate. J Zhejiang Univ Sci B. 2018,9(11):853-862. Song K, Wang YB, Zhang MZ, et al. A parasternal intercostal perforator flap for esthetic reconstruction after complete chest keloid resection: A retrospective observational cohort study. J Cosmet Dermatol. 2018,17(6):1205-1208. Liu H, Song K, Zhang M, et al. Toe keloid after nail extraction treated with surgical excision: a case report. Medicine. 2017,96(51):e9373. Zeng A, Song K, Zhang M, et al. The “Sandwich Therapy”: a microsurgical integrated approach for presternal keloid treatment. Ann Plast Surg. 2017,79(3):280-285.